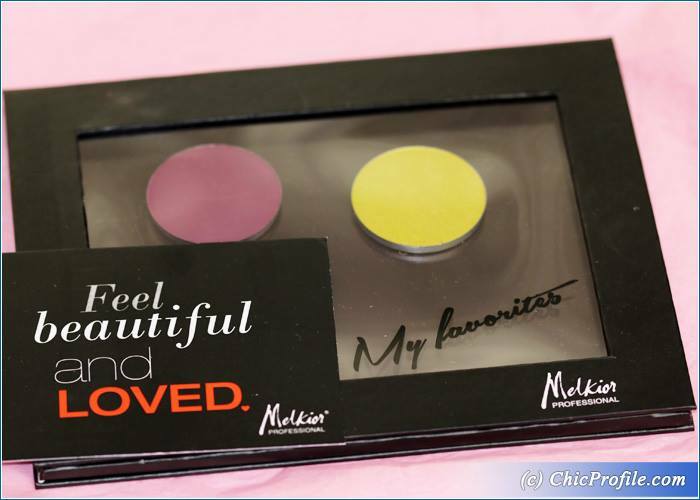 Melkior Eyeshadows are already famous for being intensely pigmented and for having such a great price. 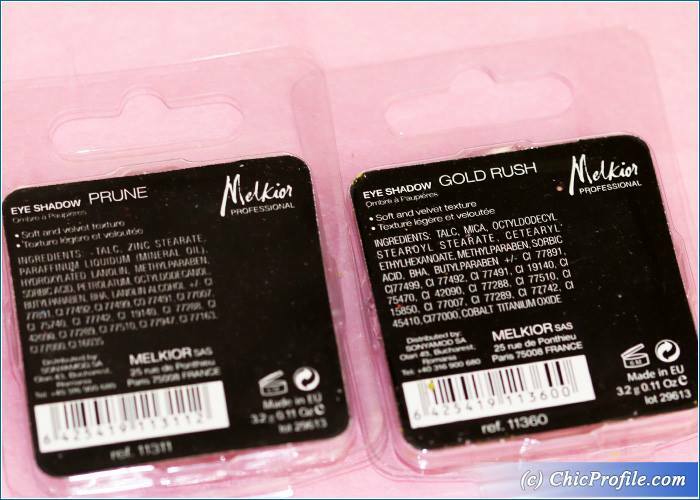 So, I’m here today just to show my two new eyeshadow colors in Prune and Gold Rush that I received from Melkior when I visited their booth at Cosmetic Beauty Hair 2016 Edition. 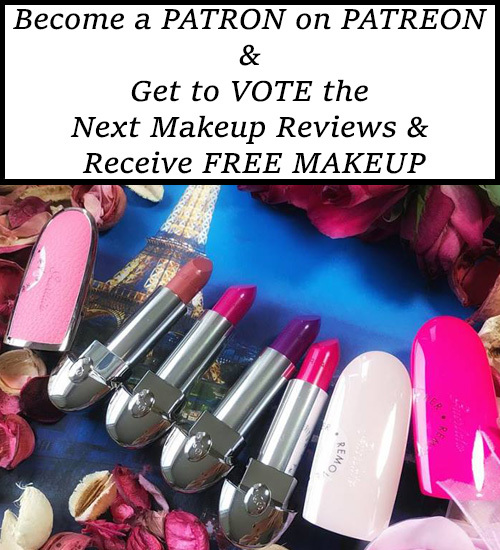 I’ve posted a lot of photos that day, sneak peeks and swatches of Melkior After Dark Lipstick, their newest color that just launched this month. 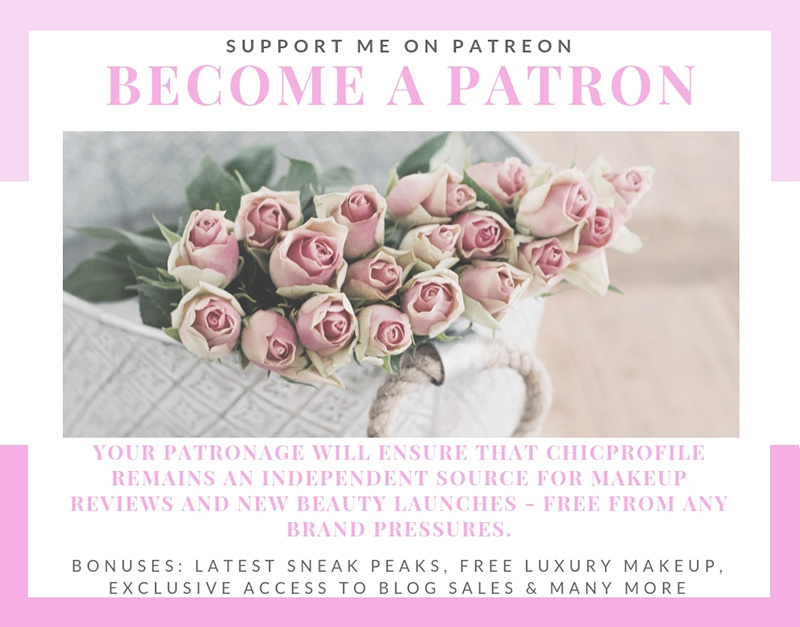 I got my two new eye colors as refills along with a magnetic eyeshadow palette which I can customize and place all my go-to Melkior eyeshadows in there. The price for a refill eyeshadow is 17.00 Lei or if you get the single eyeshadow in standard packaging you will pay 27.00 lei but there are various discount codes on the internet that can get you a 10% sale and free shipping, not to mention that Melkior often does promotions for its products. Melkior Prune Eyeshadow (17.00 Ron for 3.2 g / 0.11 oz as refill) is a deep, dark eggplant-burgundy with reddish undertones and a matte finish. It has a strong pigmented, delivering an opaque coverage. Even when swatched on bare skin without an eyeshadow primer applied the color looks intense. 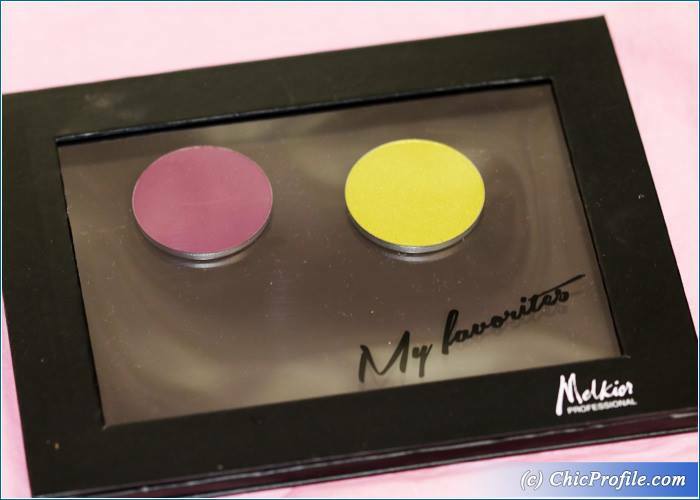 Unlike other Melkior matte finish eyeshadows, this one had a very dry and powdery texture. The product kicked a lot of powder right from the pan when I swatched it with my fingers and even later when I dipped my brush into it. You’ll just have to mind your application and tap off the excess from your brush so you won’t get any fall out when applied. This is a dark and intense color so you may wanna apply some loose powder underneath your eyes or Shadow Shields from Andra Cosmetics for a clean makeup result. 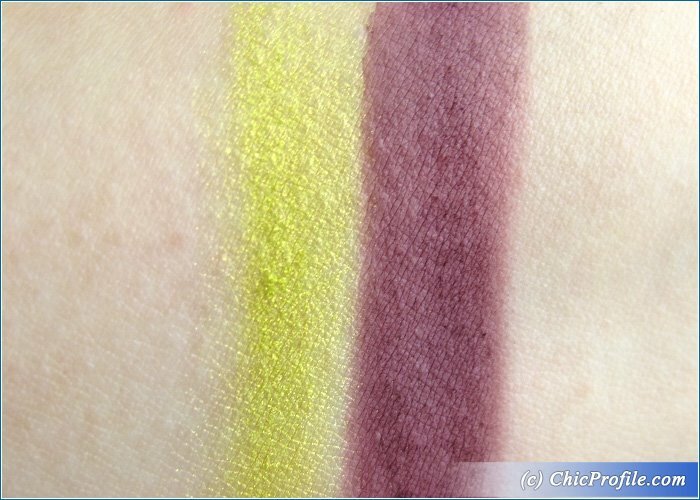 I do like the color, pigmentation and how easily it blends but I noticed how this colors sheered out a lot the more I blended. I had about six hour wear with this formula without creasing or fading. 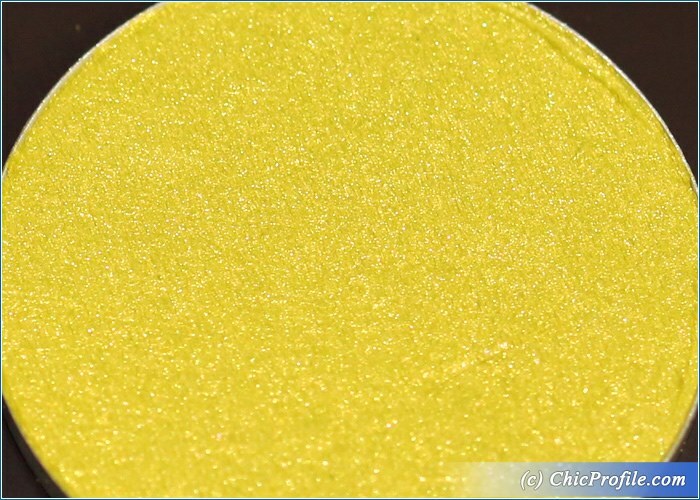 Melkior Gold Rush Eyeshadow (17.00 Ron for 3.2 g / 0.11 oz as refill) is a medium olive-yellow with green undertones and a metallic finish. It has an insane pigmentation and color payoff. 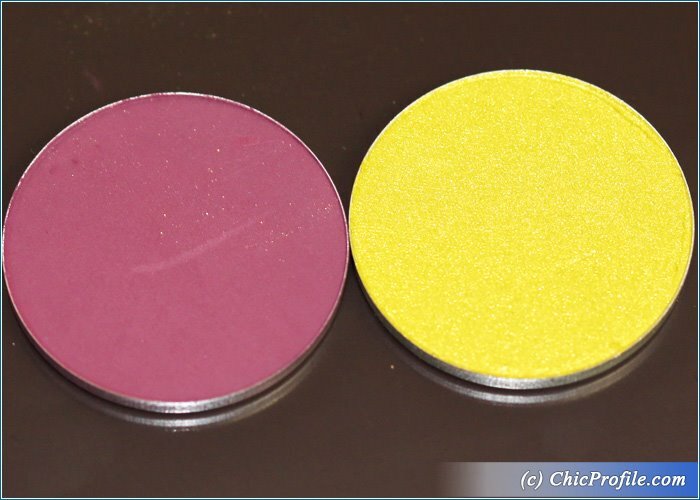 It’s a rich, intense color with a highly metallic finish that can go perfectly with an evening makeup look. 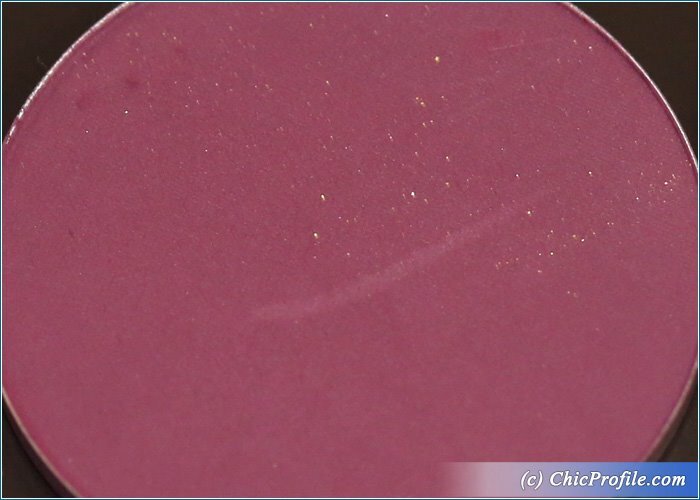 When I first saw this color and swatched it, I instantly thought I’ve seen it somewhere else and then quickly remembered it’s similar to Melkior Gold Metal Eyeshadow (review, swatches) with an intense metallic sheen. I absolutely like the formula and texture of this one. It feels incredibly smooth and silky to the touch, without any dryness or fall out during the application. It adheres well onto the skin, even on bare skin without any eyeshadow primer applied. It has no fall out during the application and blends easily. I had about 8 hours wear with this formula. About the Melkior magnetic palette, the MAC eyeshadow pans fit in them? The lid can close? My friend is from Timișoara and she can bring me, in her next visit there or to București . Thank you for your time. Big hugs from Greece. I do not want to bother you, if you not have the time to answer my question, if for some reason I did not get your answer, I apologize. Happy New Year with good health, joy and happiness to you and your beloved.